As the largest community on the sea in China, most of the residents here earn a living by fishing and ocean farming. After a decade's development after being devastated by Japanese aerial bombardment, it has again become the largest aqua cultivation base of yellow croakers and other seafood in China. It is fast gaining popularity in becoming an area of aqua agricultural tourism and seafood distribution centre in the area. Located in the southeast of Jiaocheng District, Ningde City, Fujian Province, 30 kilometers to downtown Ningde, and at the entrance to the coastal East Fujian, it is a natural harbor rarely seen any where in the world. While the vast bay looks like open ocean, it is in fact almost entirely landlocked, so the floating villages usually lay calmly on waters that resemble an endless expanse of smooth land and sea formation. And Sandu'ao is not only the world's deepest ice-free harbor but also arguably the richest in cultivated marine lives. Sandu'ao is not only getting popular among the local tourists but also international tourists who want their seafood fresh and dined at the floating restaurant amidst the world biggest floating sea-farming structure. This is however an ordinary village look similar to other Chinese villages, with wooden houses, shops, restaurants, a police station, a medical care center and a mobile service hall. But it is totally different. It's a village on the sea. When you walk in it, sometimes you would sway as the wave moving through. Kilometre after kilometre, villages float upon sturdy pontoons constructed from bamboo and wood wired to barrels or blocks of PVC foam. Every household has a boat or yacht as traffic tool. Fishermen get around in craft ranging from crude wooden crafts to fine fiberglass boats. Some boats look almost handmade but they suffice, given the placid waters of the bay. The villagers live their day to day life as if they are on land. They have pets such as cats, dogs etc. Their sea passages (streets) shaped just like a road on the sea or like a street on the land. Sandu'ao has a marvelous variety of shellfish, shrimp and prawn the size of small lobsters; the tender green seaweed is cultivated on a seaweed farm that is over 160 acres. The sea farming are carried out in suspend able cages of fishing nets, where the cages reach more than 80000 in number. The cages and dwelling structures join together and form a village on sea, which is a magnificent scene. In the daytime, looking at the fishing boats, you can see a busy scene; in the evening, everywhere it is bright with lights from the houses on the cages. People call the scene "plantation on sea". The setting is not as glamour as the Hong Kong floating restaurant. But, the freshness of the seafood can not be any better. Dine in an ambient of closeness to nature and the sceneries that come with it. The cooking here emphasizes seafood delicacies. Sandu'ao has a favorable geographical location with mountains in its north and sea to its south. Many mountain delicacies such as mushroom, bamboo shoots and tremella can also be found here. 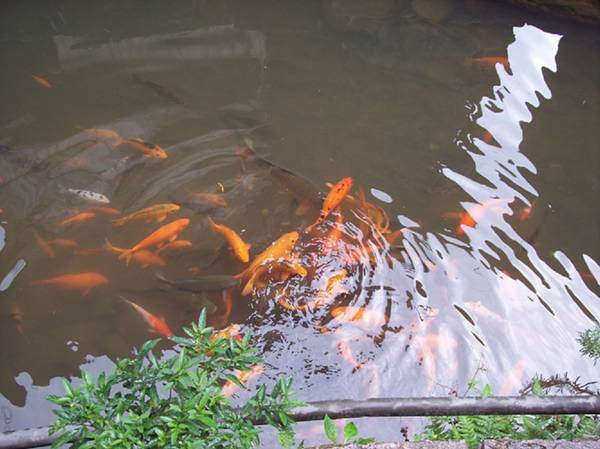 And the area produces over hundred varieties of fish and tens of kinds of turtles and shellfish. It also produces cuttlefish, and sturgeon. These special seafood and products are all used in the local folk and cuisine cooking. The local people are good at cooking seafood, featuring in methods of stewing, boiling, braising, quick-boiling, and steaming, etc. One of the delicacies is Jelly Worms. Chefs first soak sea worms (tu sun) in water so that the worms spit out mud. Then they press the worms to get rid of the remaining mud, and cook them in boiling water for a few minutes. The final step is to pour the soup and worms into several bowls. The soup will become jelly after it cools down. Such worm jelly is half crystal colored with white, bamboo-shoot-like worms visible. It may sounds scary but tastes great. And the authentic way to eat it is to dip it into the locally-made sweet pepper sauce, or a mixture of soy and wasabi sauce. If it's summer, you are advised to cool it in the fridge first. The jelly will feel smooth when it fills your mouth, and the worms will be crisp. Sandu Bay is situated in the southeastern part of Jiao Cheng District about 30 kms away from the Ningde city center. It is regarded as "the door and the key exit of 5 counties" of Mingdong. Sandu'ao covers a sea area of 714 square kilometers with 73 kilometers of water coastline that runs over 10 meters deep. In the scenic zone of Sandu'ao that covers an area of around 120 square kilometers, there are scenic spots of Sandu Island, Qingshan Island, Doumu Island, Rooster Mount Island, Penholder Mountain, Xiahu Beach etc. Sandu Bay is made up of 5 islets and 1 peninsula, namely, Sandu, Qinshan, Doumao, Baipao, Jigong Mountain and Chenao. What's more, there are 14 tiny islets, 17 reefs scattering over the area. In addition, there are 5 beaches and two extensive water surfaces, i.e. Guangjingyang and Fudingyang. Sandu Bay is not only a special port, but also a scenic spot called "Sky Lake on Sea" and a production base. It covers hundreds of square meters and has different kinds of exotic peaks and rocks, which make the place a tourist area. Among them, "Snail Rock " "The Pictures of Immortals" are very famous. "Snail Rock" is like a snail, which is 7-metre high. Its outside is round and smooth. Inside there is a cave, which can hold five or six persons. In the rock there is a hole facing the sea. Every spot in China has a long history, Sandu'ao is of no exception. Sandu'ao began trade with foreign nations over 1,000 years ago, back in the Tang Dynasty. In 1694, the Sandu'ao administered nine ports. It formally became an import and export commercial port in 1897. On May 8th of the same year, Fuhai Customs was set up. Subsequently, 20 companies from 13 countries including USA, Britain, France, Russia, Japan, Holland, Sweden, Spain, Portugal etc. set up companies and banks in Sandu. Even today the Sandu Island still keeps the buildings of Spanish Catholic Church, British Cloister, and an American nunnery. The Catholic stone church, with its distinctive Spanish architecture, is said to be the best preserved old church in Fujian Province. The old nunnery is now called Tian Lao Yuan or "Heavenly Garden for the Elderly." Some of these nuns have been here for over sixty years! Sandu'ao has yet to recover fully from the devastation of the Japanese bombings in the 1930s. While Sandu'ao's population was 30,000 in the 1940s, it has reached more than 20,000 today. It is a 4 hours drive to Ningde from Xiamen or approximately 350km between the 2 cities by private car. Sandu'ao is 30 kilometres from Ningde or a bit more the half an hour by car. There are several long distance buses serve the Xiamen and Ningde highway route everyday at 7:40, 9:40, 13:00, 15:20 and 17:20 and the full trip cost 130rmb. From the Ningde bus station; there are local buses or taxis that connect to Cheng'ao which then link to Sandu'ao by boat. The local bus fare is about 11rmb and takes about 45mins to an hour. The boat to Sandu'ao takes 10mins and cost around 30rmb. Our 4 days self guided Mingdong discovery tour takes you through Sandu'ao in Ningde, Nine Dragon Waterfalls in Zhouning, Baishuiyang in Pingnan, Mountain spring and hot spring in Gutian.